Though this animal is common sight, until it offered a vertical pose like this I never realised its tail could be so long! Excellent shot, Raghu! How big is he? Thank you Alex, JJ, Gordy and Saly. 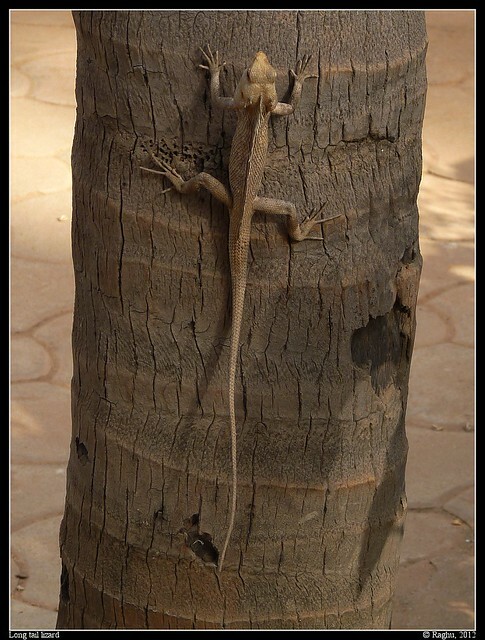 From head to hind legs, the lizard should be about 5 inches. With the tail, I think it goes to nearly 15-16 inches!